BBK Performance Parts offers high-flow Exhaust Headers for Ford Mustang applications 1979 to current. 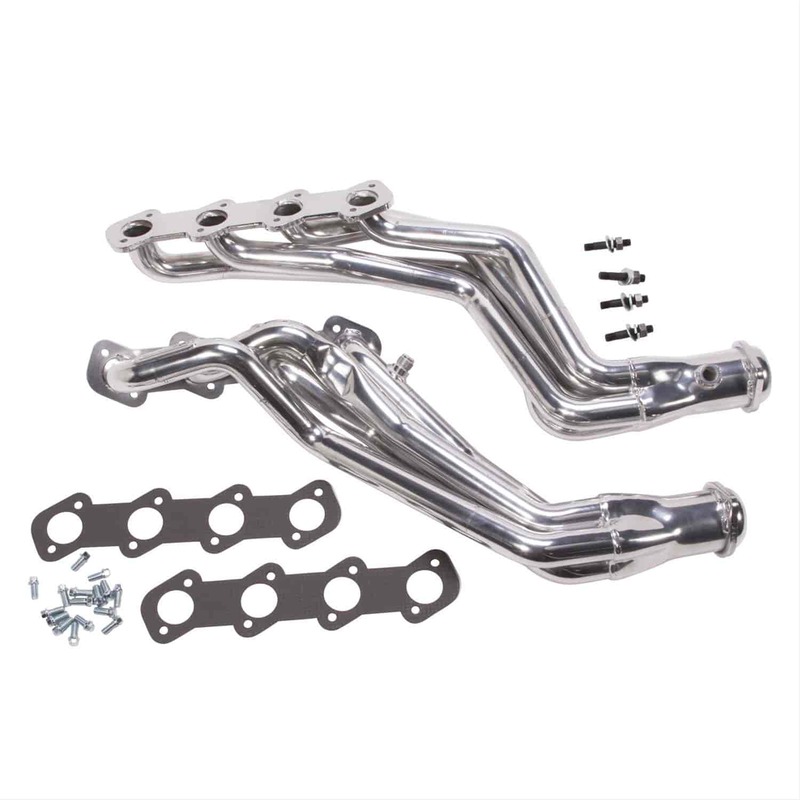 All BBK exhaust headers are designed and built using CNC mandrel-bent, heavy-gauge tubing for unrestrictive flow that delivers increases in horsepower, torque and agressive exhaust tones. Laser-cut 3/8" thick flanges provide a leak-free fit. All exhaust headers include new gaskets and hardware for installation. Note: BBK O2 Sensor Harness Extension Kits are Required for Long Tube Headers. Does BBK Performance Parts 15410 fit your vehicle? Caspers Electronics 109015 - Oxygen Sensor Extension Harness 1996-2002 Ford 24"